Spotify politely announced in an SEC filing Thursday that Chief Marketing Officer Seth Farbman would be leaving the company at the end of the month after three and a half years with the streaming service. 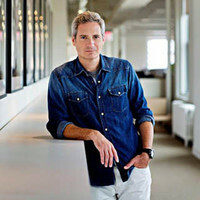 Farbman responded, “I came to Spotify to build a world class marketing organization and establish the Spotify brand as the leader in music, culture and innovation. Farbman joins a growing line of former Spotify execs that includes Troy Carter, George Ergatoudis and Dave Rocco.